Some of the most successful blogs go beyond becoming a published title with content from blog posts. They turn into a full fledged community that actively participates in helping the blog author create content. 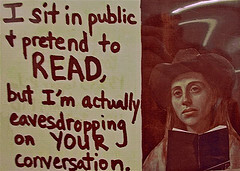 One of the best examples of this is PostSecret. PostSecret was started by Frank Warren 2 years ago as an art project. The project has spawned a blog, three wildly popular books (PostSecret, My Secret and The Secret Lives of Men and Women), an art show and a very active community with a helpline. Content from his site – in the form of postcards – has been featured on MTV in a music video. He has been featured on USA Today, CNN and made numerous appearances on television talk shows. 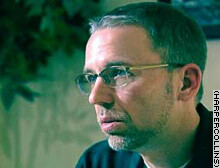 He is slated to produce 4 more books and created a video about PostSecret. Can a TV show or film deal be far behind? Here’s how it works. Visitors can share a secret by creating a postcard and mailing it (yes, snail mail) to an address in Germantown, Maryland. The blog is updated with new secrets every Sunday. According to Ovation, Mr. Warren receives about 100 – 200 postcards per day and has collected over 100,000 postcards since starting the blog. Many of the postcards are very artfully done. His site receives over 3,000,000 visitors every month. The site also features a “Hopeline” where individuals can receive phone counseling. The secrets featured on PostSecret cover a full spectrum of human activities, interests and foibles. There is probably something for everyone to resonate with in the collection of secrets. PostSecret is a prime example of how blogs can evolve from pubishing medium to a center of a loyal and active community. This entry was posted in blog to book, blogs & writers, readership strategies. Bookmark the permalink.